The following important article, by Joe Catron, ran in Al-Akhbar English on February 2, 2012. Samidoun encourages all to read, distribute, and consider the implications of this important piece. Political prisoners, their families, and their concerns and causes enjoy massive support in Palestinian society. Palestinians who may have never joined a boycott campaign or acted to break the siege of Gaza routinely demonstrate for the rights of detainees and contribute to support their families. Among political factions, the liberation of all prisoners is a clear point of consensus. Competing parties demand and celebrate the return of each others’ imprisoned members as a matter of course. In addition, he says that, “marginalizing the issue within the overall Palestinian agenda” fails to reflect this overwhelming sentiment. Unfortunately, the same can be said of the global movement in solidarity with Palestinians and their struggle. Too often, it has treated a concern at the forefront of the Palestinian movement as an inconsequential afterthought, when it has mentioned it all. Huge mobilizations by detainees, like the October hunger strike that, at its peak, included 3,000 people (and galvanized Palestinian society in support), received only a minimal amount of responses from overseas. 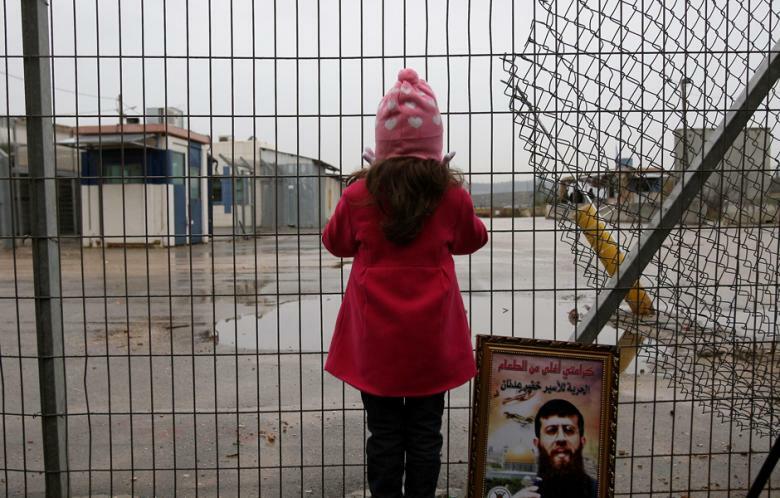 Also, the daily struggles of individual prisoners, like the current hunger strike of administrative detainee Khader Adnan, barely elicit any notice. Why does this matter? Aside from a basic principle of solidarity – backing the priorities of the people we support – these prisoners remind us, and the world, of “the Palestinians’ right, and duty, to resist occupation, colonization and displacement employing all means of struggle,” in Makhoul’s words. Their perseverance, inside and outside prison walls, testifies to the fact that Palestine needs neither our charity nor our sympathy, but rather deserves our solidarity as it struggles to free itself. The “internationalization” of prisoner support Makhoul advocates could renew the solidarity movement’s focus on this Palestinian agency. While Israel’s apartheid system includes too many shocking injustices to count, the prisoners are also an electrifying and radicalizing force, whose very existence defies attempts to depoliticize their struggle or reduce it to a humanitarian concern. A mobilized, energized and expanded worldwide solidarity movement would also offer much-needed political backing to them, and the families and communities that regularly mobilize for them. Many organizations, both Palestinian and international, work to educate a global audience about these issues. Addameer, the Campaign to Free Ahmad Saadat, Defence for Children International, the International Campaign for Releasing the Abducted Members of Parliament, Samidoun, Sumoud, and the UFree Network, as well as media like the Electronic Intifada and the Middle East Monitor, generate tremendous amounts of high-quality information. But while information is a necessary prerequisite, it is ultimately from mobilization that public awareness, as well as political change, emerges. Putting information to use – building a global campaign to free Palestinian prisoners – will require a strategy to build these organizations and expand their activities, while also engaging broader solidarity networks. Makhoul proposes a National Coordinating Committee, akin to the Boycott, Divestment, and Sanctions (BDS) National Committee, to oversee these efforts. In the meantime, international solidarity activists can and should respond to the current “steadfastness, defiance and struggle” of Palestine and its prisoners. Recurring popular mobilizations, like Palestinian Prisoners’ Day (April 17) and Gaza’s weekly occupation of the International Committee of the Red Cross (ICRC), could be replicated, on similar or more modest scales, in cities from New York to Islamabad. (Of course Gaza lacks explicitly Zionist institutions, which might prove to be more opportune targets elsewhere.) Rapid response networks could answer detentions, repression, and resistance by protesting Israeli Embassies, consulates, and missions, as well as foreign governments and international organizations collaborating with Israel. The prisoners’ struggle can also invigorate existing campaigns. It overlaps neatly with the three demands of the BDS movement: An end to occupation and colonization (including detentions), full equality for Arab and Palestinian citizens (in judicial and correctional matters as well as all others), and the right of return for Palestinian refugees (like those expelled from their homes following release from prison). BDS organizers have pursued prison profiteers like G4S, JC Bamford Excavators, the Israeli Medical Association, and the Volvo Group. Anti-siege efforts like the Free Gaza Movement and Viva Palestinia, too, could highlight Israel’s prison apparatus as an essential part of the system of militarized apartheid they oppose – and one explicitly intended to crush legitimate resistance. Being proactive should be the core principle on every front. Many solidarity activists have complained of the disproportionate media attention lavished on Gilad Shalit and his family, but few have taken the time to investigate the global networks built to support them, or to learn the many lessons they have to offer. Giving Palestinian prisoners meaningful solidarity will ultimately require a similar movement focused on making their lives and struggles unavoidable topics of any informed conversation on Palestine. The Israeli government oversees the world’s most militarized society, and one that cannot sustain itself without massive, ongoing repression, from its border walls to its isolation units. The prisoners illuminate the ugly face of this 21st-century apartheid, while offering a glimpse of the decolonized society that will inevitably replace it. Their struggles stand at the core of the broader movement for a free Palestine. All of us who join their struggle should acknowledge their leadership, appreciate their sacrifice, and offer them our full support. Joe Catron is a (BDS) organizer in Gaza, Palestine. A citizen of the United States, he joined the October hunger strike with Palestinian prisoners and is currently editing an anthology of prisoner’s stories. He blogs and tweets.